Get out with Amadeus, a Swedish thoroughbred with a stubborn temperament and tremendous strength, or why not Molly a playful Angeloarab. 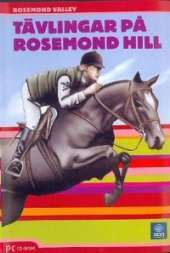 Choose from these and many more of Rosemond Hills wonderful horses, all with their own special personalities. Create your own favorite tracks and compete with yourself or your friends. Multiplayer via Internet / LAN, compete up to 8 players simultaneously. Create your own characters. Choose from different courses or create your own courses. Compete against your friends. Choose from 25 horses with different characteristics. Ride your own path in sunset or sunshine. Rosemond Hill's races is a standalone game in the same environment as the Rosemond Hill Heritage.